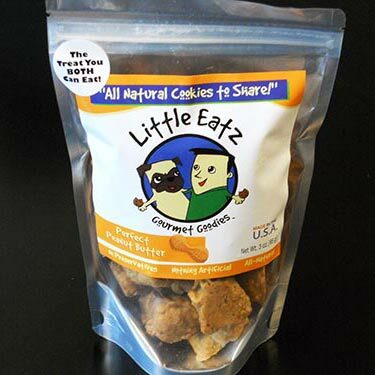 We got the Little Eatz too, but it seems like you got their old packaging. We got their new printed package. The dogs seem to enjoy them. I tried them. They taste like a hard peanut butter cookie, but I wouldn't eat them regularly. I feel like I'll break my teeth on them! They sound scrumptious. We know you'll be ordering more...at least we hope you do. Sounds like we gotta try these! Nom nom nom. Sounds delicious! Hummm, sounds like a Shadow treat, we have tried 3 different peanut butter cookies, and can't seem to find on we like, maybe this is the one! Thanks for the review. Mom is always looking for new and good treats for us. Hmmm, these might even go well with her cup of tea:). Mom says some of the cookies from Trader Joes smell so good she is tempted to try one. They look yummy. Bet if you just put them on a plate, everyone would try them! Wow that sounds great. These barkboxes sound like so much fun. Have a wonderful Wednesday. Oh-ho! They look especially nummerlicious. Peanut butter cookies sound absolutely YUMMY! Oh, those sound very tasty Murray!! We do like to share...hee hee, we will have to look for those in our stores! Mmmm they look so good! Better clean the drool of my keyboard!